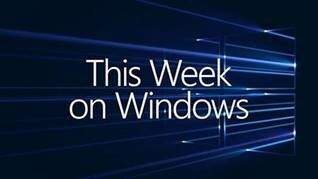 We hope you enjoyed this week’s episode of This Week on Windows! Head over here to read more about Always Connected PCs, check out Microsoft Store’s annual 12 days of deals, catch up on our Windows 10 Tips on getting started with Continue on PC in the Microsoft Edge mobile app and bringing your stories to life with the reimagined Photos app, learn more about Windows Community – or, keep reading for more of this week’s news! Sea of Thieves’ shared-world adventure will be setting sail globally on the Xbox One family of devices and Windows 10 PCs on March 20, 2018 for $59.99/£49.99/€69.99! The game is now available for pre-order, and you can check out the trailer above for the latest taste of the daring adventures you’ll find in-game. Pirates who pre-order digitally or at retail will receive exclusive access to a pre-release closed beta, providing the perfect opportunity for fans to find their sea legs ahead of launch. In addition, players will kick off their sartorial adventures in style in the form of the Black Dog Pack, offering unique clothing & items with spectacular designs. For the latest on Sea of Thieves and news on closed beta dates, stay tuned to SeaOfThieves.com in the lead up to March 20, 2018, and read more about today’s news Xbox Wire! From classic racers to rough-and-tumble SUVs ready to tackle any conditions you throw at them, the Doritos Car Pack for Forza Motorsport 7 features seven vehicles from six different decades. Learn more on the Forza Motorsport blog. Affinity delivers two serious tools, Affinity Photo and Affinity Designer, for creative professionals at a Microsoft-exclusive 25% discount through Dec. 11. Faster, smoother and more powerful than ever, Affinity Photo ($37.49 through Dec 11; regularly $49.99) continues to push the boundaries for professional photo editing software. Packing a huge toolset specifically engineered for creative and photography professionals, it’s a leader in power and performance. Microsoft Store is the best destination to discover, experience, download and buy hardware, games, entertainment, apps and more from Microsoft and its partners. A weekly series where we bring you the latest in Windows news, apps and tips from experts here at Microsoft.